All readings are confidential and private. Readings are never a substitute for medical, legal, or other professional help. READINGS MUST BE REDEEMED WITHIN A YEAR OF PURCHASE. Paypal reserves your spot in my schedule. 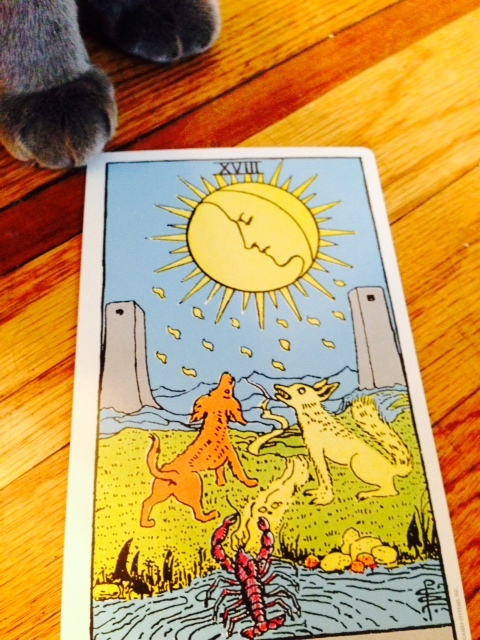 I am not able to hold appointments for folks who are thinking about getting a reading. *I do not give refunds. *If you need to reschedule contact me ASAP. *If you cancel our session, you may have to wait a couple weeks for the next available appointment. *If you are late, I cannot go overtime. *If I am late, for sure I will go overtime or schedule the make up time asap! *If you are late, I will wait at least 5 minutes. I can’t guarantee that I’ll wait longer than that. Emergencies happen for sure (yours or mine). Will do my best to get you back in the schedule asap. Readings happen when it’s convenient for us both, when our schedules match up. I do my best to let you know when we’ve reached 30 minutes or have 10 minutes left or 5 minutes because I think it’s important to transition from reading time to normal life. I do readings of different lengths. If you aren’t sure how much time you need, send me an email query and I’ll give you my honest opinion. When we have 5 minutes left, I cannot properly address a chronic health problem, choose a wedding date, tell you when you’re going to die, talk to your dead relative or other intense query. LEAD with the deep questions. I believe in free will AND fate. Your fate may be that a handsome stranger knocks on your door, but it’s up to you to open it.